This section explains our policy regarding any personal information you may supply to us when you visit this website and how we deal with it. We are committed to maintain the confidentiality of the personal information that you have provided us through this website. By using this website you agree that information collected relating to your use of this website including your email address may be used by us to analyse use of the website and to tailor marketing by us to the products and services that are offered to you. 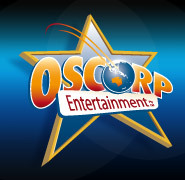 Only authorised staff of "Oscorp Entertainment" will have access to the personal information that has been provided. We may amend this policy from time to time and will place any such amendments on this website. This policy is not intended to, nor does it, create any contractual rights between "Oscorp Entertainment" and customer(s). By submitting the email form you automatically agree that your email details will be stored by "Oscorp Entertainment" for future e-marketing campaigns.